Gujarat is a wonderful state to live in, and if it becomes a place for yur job – nothing can be better. With lush green vegetation and, simple people in colonies, Gujarat is a treat. You shouldn’t miss any opportunity for such a job. The latest job in Gujarat region is that of a forest guard and this website is here to help you regarding the same. We will also provide you with FREE Gujarat Forest previous years questions to better understand the syllabus and the pattern of the exam. There is huge demand among the aspirants to apply for the latest government jobs, and it is majorly observed for the Gujarat Forest Department recruitment 2016. 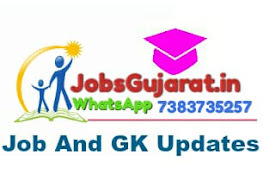 The notification announces the recruitment for the Gujarat Forest Guard with number of vacancies. This is to notify that the Exam will be conducted by the specialised Gujarat Department and esteemed members of the organisation. The exam will be conducted in the written format to stimulate the approach of every section of the society. Therefore, the applicants would be higher with greater demand in the material to prepare for it. Thus, in order to fulfil the requirements and let you know the important things related with exam, we have provided the updates of the notification, as well as the study material including the syllabus, pattern or structure of the exam, previous year solved papers and model papers. All these information are made available on this page in the PDF files or links. You may also visit ojas.gujajrat.gov.in to get the detailed description. Here, you can see the other information or selection process for the specific vacancies. The aspiring candidates can make use of the links with great flexibility as the material is really effective and also describes the important details related sections information. Here we have followed the syllabus require tobe consider for the written exam of Gujarat Forest Vanrakshak Exam. As we have provided the previous papers along with sample papers, you can evaluate the structure approach of the exam, and syllabus is desirable to identify the sections in the exam. So, take the tabular information, and make best use of them. This information is updated from the official website; therefore, it is considering the latest pattern of the exam. Download subject wise Gujarat Forest Dept Vanrakshak Sample Papers here. Make use of above all given Gujarat Vanrakshak Old Papers for better preparation. Additionally, you can also prepare a timetable by using given Gujarat Forest Dept Forest Guard Model Papers and syllabus. On the other hand, you can get these OJAS Forest Guard Past Papers in Pdf format. Click on the below given links to download Gujarat Forest Guard Previous Papers. Is this job does not suit your profile? Do not worry. You can get Latest Govt Job updates on our page. In the first place, follow our page.